Harley Davidson Thermostatic Engine Oil Cooler Adapter. 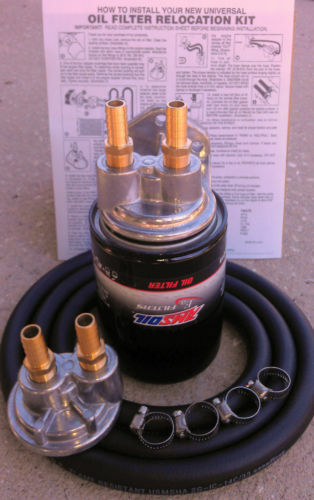 Spin-on adapter attaches to block (where old oil filter was) and relocates the oil filter and thermostatic adapter and OPTIONAL cooler to a good place. Engine oil always goes thru the filter. Honda/Kawasaki Motorcycle or ATV Remote Oil Filter/Cooler Kit. For Honda and Other Import Vehicles using 20mm oil filter threads! Spin-on remote filter adapter fits engines having 20mm oil filter threads. Attaches to block and allows relocation of the oil filter and/or cooler to a good place.